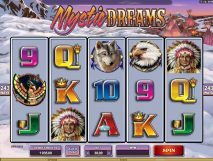 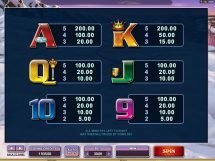 Mystic Dreams slot is a Microgaming 243way game with 5 reels. 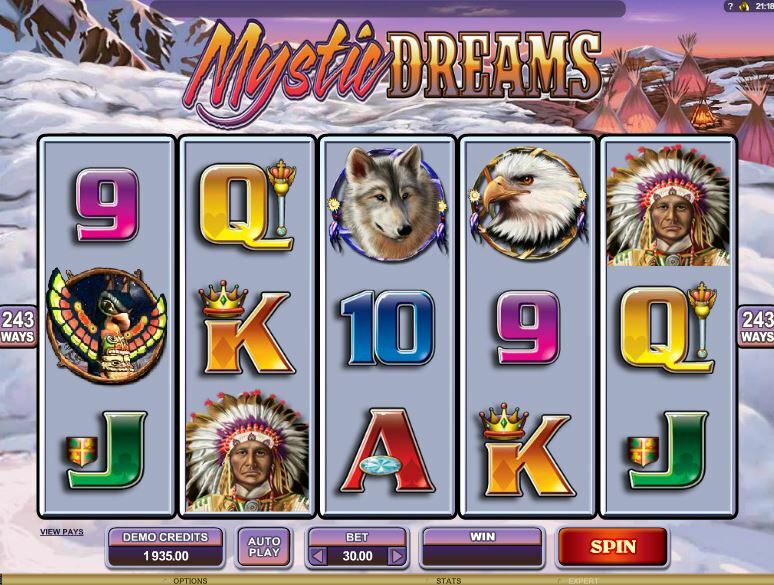 The theme is the native American Indian perhaps dreaming of his ancestors’ lands before the Anglos arrived. 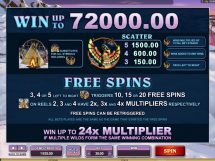 There are tepee Wilds with no multiplier on reels 2, 3 and 4 until we hit the free games. 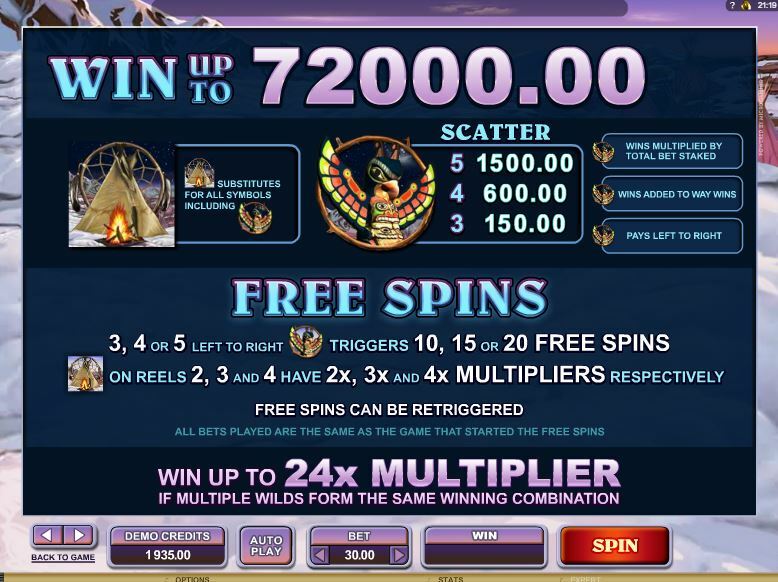 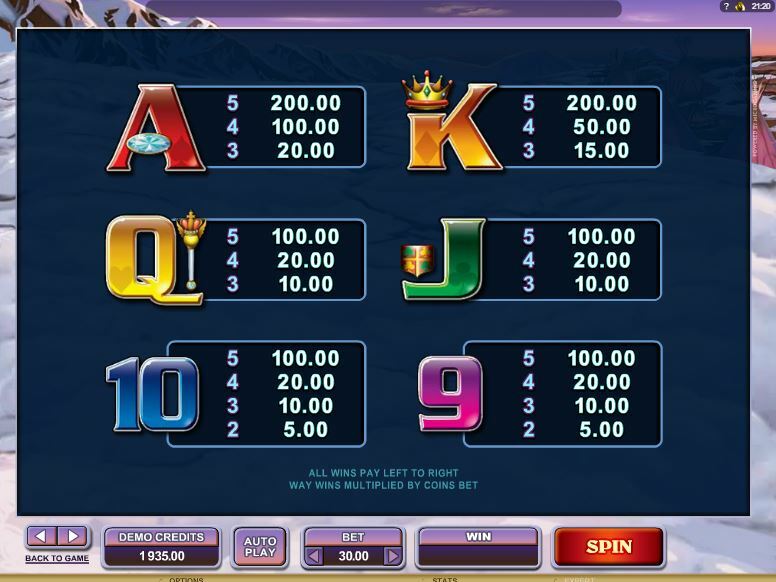 Three Totem scatters on reels 1, 2 and 3 will award 10 free games in which the Wilds become multipliers of 2, 3 and 4x respectively on those centre 3 reels in a similar fashion to the Thunderhorn – type slots. 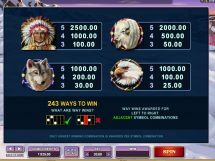 You can therefore have up to 24x on a win with 3 Wilds involved. 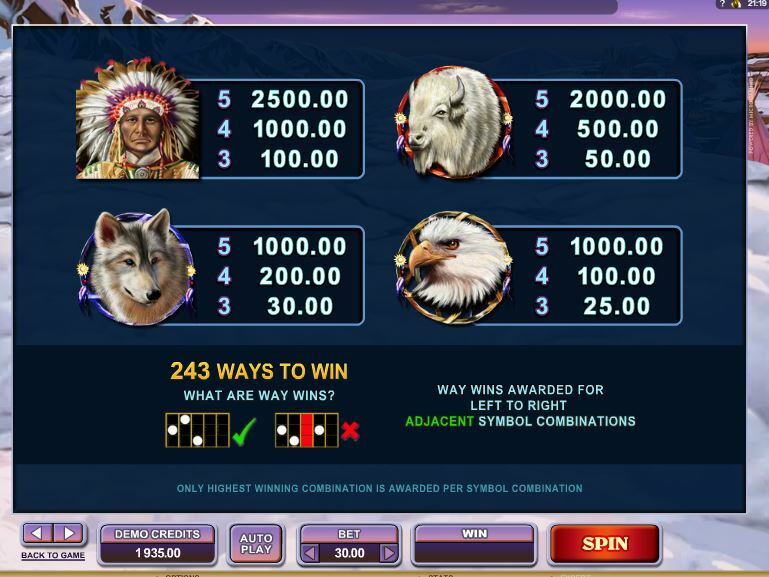 Retriggers are possible and the RTP is 96.06%.